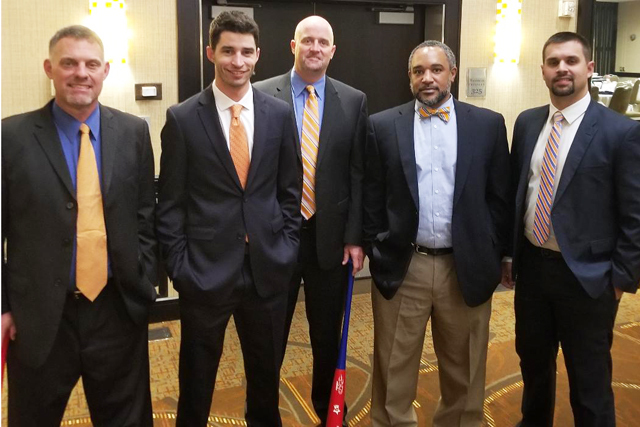 After finishing as the Georgia High School Association Class 7A state champions in 2018, the Parkview Panthers were named the BCA/Baseball America national champions. The team and coaches were honored over the weekend at the BCA Clinic in St. Louis. Head coach Chan Brown was named BCA National High School Coach of the Year, while longtime assistant Justin Bishop was named BCA National High School Assistant Coach of the Year.